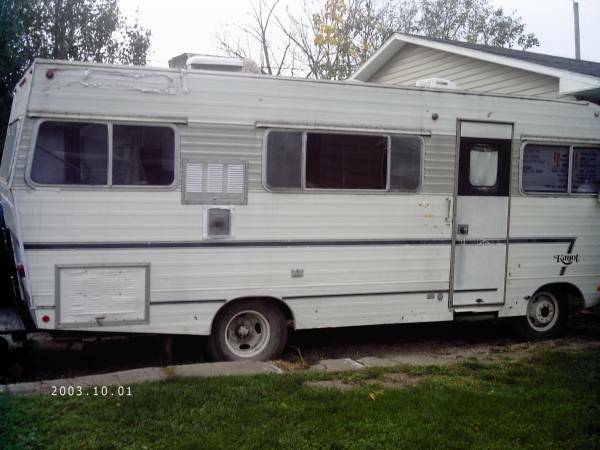 I have for sale a Driving RV i was converting into a Food truck it has a generator, griddle burner, refrig, 3 burner stove with oven, two warmers, a three sink ,and a two sink, a water tank, a water pump, a fuse box, a microwave, a vent grease duck, cabinets,a bath room with a shower, a toilet,and a wash sink, a ceiling fan, a meat freezer, propane tank underneigth ect, not much left to be finished. It runs good and is quietly sound. motor is a 318 with 46,875 miles. Everyone wants to sale food out of it when i finish it, but no one wants to help put up moneys to build it. As for me i am not a cook i was building it so i could have something to do with my girl and my brother but they are both too bizzy for me now. So it is for sale. Home# Cell# Keith Please leave a call back contact number on answering service Thank You. SORRY I DO NOT TEXT OR EMAIL.